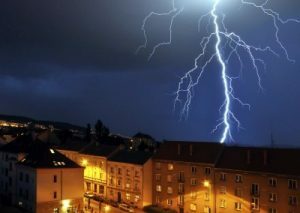 Is your property at risk from lightning strikes? Are you looking to protect your vital systems from damage? 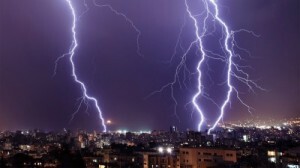 If so, call JTB Electrical now as we are the best supplier of lightning protection London has seen. At JTB Electrical we provide lightning safeguard services in London for a variety of environments, and we can recommend the best precautions to take in the event of a lightning strike. At JTB Electrical, we understand the importance of ensuring that your building and equipment are protected from lightning strikes. We specialise in providing London lightning protection that will ensure effective countermeasures to shield your property from any direct strikes. From design to installation and servicing, our engineers can provide everything from standard lightning protection in London to something that is entirely bespoke. Whatever your requirements, you can trust the finest company for lightning protection London has to offer. As experienced designers, we are able to meet every customer’s specification and needs to ensure that they get maximum benefit from their system. What can JTB Electrical do for you? If you’re in need of our services, simply call our London lightning protection specialists, and we’ll be happy to discuss your needs with you. On average lightning will strike the earth three billion times a year. Upon striking a building, this energy will be conducted throughout the building causing considerable damage to the structure and equipment within. At JTB Electrical, the lightning protection London systems that we provide and install will serve as a conduit that will channel the electrical charge away from your property. These low-resistance systems will direct the lightning into the ground, thereby, deflecting the lightning from buildings and other structures. These lightning protection London systems are designed to work continuously until the flow of electrical energy has been fully discharged. How can our London lightning protection services help you? Lightning protection in London is required for buildings with process plants located on the premises, to prevent the risk of fire and damage to the property. Our design service allows our customers to benefit from a bespoke system that meets all the requirements. We have designed systems to meet their purpose and do more than the standard systems available. Here at JTB Electrical, our engineers can install standard or bespoke London lightning protection systems on any property, including apartment blocks, industrial units, schools and retail buildings. Whether you need lightning protection for a domestic, commercial or industrial property, we can design and install your system. With the installation, we will test your system to ensure that it is working efficiently and will protect your environment in the event of a lightning strike. At JTB Electrical we offer regular lightning protection London servicing that will keep your system maintained. As it is a necessity for many commercial and industrial properties, servicing is key to complying with health and safety. With our bespoke systems, we can carry out servicing and maintenance services to ensure that your system is sustainable, as well as carrying out any need alterations. Why choose our lightning protection London company? With more than a decade’s worth of experience to our name, JTB Electrical is well-established as a reputable supplier of systems for lightning protection in London. With our knowledge and skills, we can provide professional advice, designs, installations and maintenance to keep your properties electrics performing at peak efficiency. We have a strong reputation for reliability and customer satisfaction, and we promise to always go the extra mile to ensure that our customers get the most out of their London lightning protection services. As the finest choice for lightning protection London has experienced, our NICEIC endorsed services are combined market-leading technologies with tried and tested techniques. As a company, we continually invest in our team to ensure that our London lightning protection systems meet your exacting specifications. Our specialists possess 50 years of collective experience so you can be certain of quality workmanship at affordable prices. If you’re in need of lightning protection in London, there is only one company you need to call – JTB Electrical. To find out about any of our lightning protection London services, make sure to contact us on 0238 073 1575 or drop us an email at info@jtbelectrical.co.uk. The damage caused by lightning can be significant. No matter the property, the risks of lightning strikes can cause many problems to your property. At JTB Electrical we provide lightning protection Southampton for a variety of environments and we can recommend the best precautions to take in the event of a lightning strike. From design to installation and servicing, our engineers can provide everything from a bespoke system through to standard systems. Whatever your requirements, we can help. As experienced designers, we are able to meet every customer’s specification and needs to ensure that they get maximum benefit from their system. Did you know that on average, lightning will strike the earth three billion times a year? Many people think that being inside their property might protect them, but that is not the case. When lightning strikes the exterior of a building, the electronic energy will travel through the inside and can cause damage to the electrical works of that property. For more on lightning safety click here. When lightning strikes, it ‘seeks’ a path with the least resistance. Lightning protection systems do not necessarily attract lightning, it is used to conduct the electrical charge from a lightning strike and flow the current to the ground, away from buildings and reduce the risks of fires and damages. The low resistance path created by the system will deter the lightning from buildings and other structures. As lightning moves once it has struck, the system will work continuously until the flow of electrical charge has moved to the ground and away from you property. How can our lightning protection Southampton help you? There are many lightning protection systems available that will help to protect your property when lightning strikes. Lightning protection systems are required for buildings with process plants located on the premises, to prevent the risk of fire and damage to the property. Our design service allows our customers to benefit from a bespoke system that meets all the requirements. We have designed systems to met their purpose and do more than the standard systems available. Here at JTB Electrical, our engineers can install standard or bespoke Southampton lightning protect systems on any property, including apartment blocks, industrial units, schools and retail buildings. Whether you need lightning protect for a domestic, commercial or industrial property, we can design and install your system. With the installation, we will test your system to ensure that it is working efficiently and will protect your environment in the event of a lightning strike. At JTB Electrical we offer regular servicing that will keep your system maintained. As it is a necessity for many commercial and industrial properties, servicing is key to complying with health and safety. With our bespoke systems we can carry out servicing and maintenance services to ensure that your system is sustainable, as well as carrying out any need alterations. Why is lightning protection important? Although the thought of being struck by lightning may seem unlikely, there are many cases of lightning strikes. The effects of lightning can be drastic; it is a recommend precaution for many businesses. The costs of lightning strikes can be greater than the costs of installing and maintaining a Southampton lightning protection system. At JTB Electrical we can help with any aspect of lightning protection in Southampton and are more than happy to provide the services required to keep your system up to date and working to the highest standard. Read more about the importance of lightning protection. 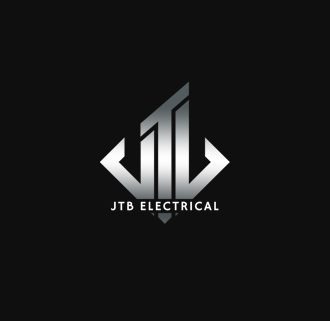 With over 10 years of operating, JTB Electrical is a dedicated and well experienced business that supplies many electrical services. With our knowledge and skills, we can provide professional advice, designs, installations and maintenance to keep your properties electrics at the best quality. We have a strong reputation for reliability and customer satisfaction, and we promise to always go the extra mile to ensure that our customers get the most out of our services. To find out about any of our lightning protection in Southampton services, make sure to contact us. If you are need of a system designed or installed, call us on 0238 073 1575 or send us an email at info@jtbelectrical.co.uk.